Getting an insight about where do most of your app’s or game’s users come from is crucial for developing a user acquisition strategy and finding out where to focus your attention when optimizing the marketing strategy for the app. Finding out and studying this data can be handled in many ways, and the most common one so far has been a use of attribution partners – trackers like AppsFlyer, Adjust, Tune and others, or integrating Google Analytics. But few developers actually know that now this very useful information is also accessible directly from their developer consoles. In this article we will talk about how to find and separate organic sources of traffic from non-organic in iTunes Connect and Google Play Console. Let’s see whether our ASO strategy is working, or not! It has been a while since Apple has introduced Apple Search Ads, and since its launch we have all been expecting more information revealed by app stores. And here it comes – since this May Apple is revealing app discoverability data and adding it to App Analytics. Apple Store Browse – browsing the Featured, Categories, or Top Charts sections of the App Store. Apple Store Search – search queries on the App Store, including Apple Search Ads. App and Web Referrers, and Campaigns are the non-organic traffic sources that you can also break down with App Analytics Sources section, for example, view Top App or Web Referrers for a selected metric. Campaigns are used to generate campaign links that can be used for promotion, advertising and other marketing materials. The data for Top Campaigns will appear when at least 5 units are attributed to this campaign. Impressions – a number of times an app has been shown, without visualizing listing. Product Page Views – a number of visualizations of store listing. App Units – a number of actual installs of the app. Those are the key metrics to analyze when it comes to optimizing visibility, discoverability and conversion rate of a mobile app or game, the basis of ASO strategy. However, at the point of optimizing the sales funnel, you will need the data for other metrics, such as In-App Purchases, Sales, Paying Users, etc. Apart from measuring organic traffic and analyzing top sources of discoverability, App Analytics provide much more data that is valuable for developers. In Metrics tab the data about usage can be found, including Installations, Sessions, Active Devices, Active in Last 30 Days, and Crashes, for a selected period of time. With this data you can measure your retention, such as the number of active devices on day X of retention period compared to the number of active devices during the entire period. The tab Retention of App Analytics provides this data with a possibility to break it down per version, device, geo, and source type. Therefore, you can make conclusions on the top performing sources of traffic for your app in terms of retention, usage, discoverability and sales, and download any of the reports in CSV format, without leaving your developer console! Read more about the insights you can get in your iTunes Connect in this App Analytics Guide. Google is a renowned expert in all sorts of analytics that Android developers can benefit from, and long ago has implemented the insights for User Acquisition that help understanding the main sources of traffic for retained installers and buyers. Google Play Store – browsing the Featured, Categories, or Top Charts in Google Play Store, or searching in the Play Store. Google Web Search – search queries directly in Google web search. There are also other user acquisition channels to track, in case of Google they are separated for AdWords campaigns, other Tracked channels (UTM-tagged links to Play Store), and Third-party referrers, including web and app referrers. Store listing visitors – a number of people who have viewed an store listing in Google Play Store. Installers – a number of users who have installed an app (after viewing store listing). Installs without store listing visit – to activate this metric, just tick the box to include it, that is located in the right corner of Installers and Retained Installers chart. It will show unique users who have installed an app without visiting its Play Store listing, or had the app pre installed. In Google Play Console, store listing visitors and installers differ from “clicks” and “conversions” reported on AdWords. If a user visits or installs your app multiple times, it will be only counted once on the Play Console. You can break down the retained installers or buyers not only by the acquisition channels, that we have looked into earlier, but also per country for all traffic types, and for country only for organic Google Play Store traffic. Set “Measure by” to Country (Play Store Organic) to view the conversion rate benchmarks for your app in its category and monetization type (free or paid). The app will be then compared to similar apps in terms of the conversion rate, and you can get an estimation of how many more installs you can get if you improve your conversion rate. Read more about how to identify your valuable users and and optimize your traffic sources in this User Acquisition Best Practices by Google. Identifying your most valuable users and customers is the key to understanding your app and creating the roadmap of marketing actions. 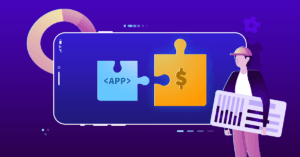 This vital information is now included in both Google Play Console and iTunes Connect, however, to break down the metrics down even more per keywords, or compare your app with your real ASO competitors, an in-depth detailed ASO tool will be more helpful. Which tools are you using for analyzing and getting deep insights about the traffic sources of your app? Tell us in the comments! Thanks for the article. Is Apple Store Search source type both an organic and paid measure of impressions, taps, and app units? I’m looking for a way to measure Search Ads activity within iTunes Connect. Indeed, iTunes Connect has the data for both organic and paid sources. You would need to measure Apple Search Ads activity in the ASA dashboard and then (Search-ASA) would give you the organic results. That being said, is there a way to do a data break-down between organic and Apple Search Ads under the App Store Search source type? As App Store Search also includes Apple Search Ads result, you can subtract the installs from your ASA panel and thus, get the pure installs from Search. Is there a way to also track in-app events, such as purchases by source, more specifically Apple Search Ads as a source?